In June 1960, Alzada Kistner and her husband David, an entomologist, left their eighteen-month-old daughter in the care of relatives and began what was to be a four-month scientific expedition in the Belgian Congo. Three weeks after their arrival, the country was gripped by a violent revolution, trapping the Kistners in its midst. Despite having to face numerous life-threatening situations, the Kistners were not to be dissuaded. An emergency airlift by the U.S. Air Force brought them to safety in Kenya, where they continued their field work. Thus began three decades of adventures in science. 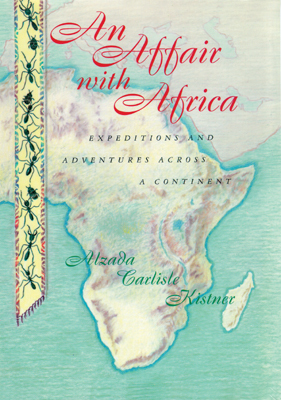 In An Affair with Africa, Alzada Kistner describes her family's African experience during the five expeditions they took, beginning with the trip to the Belgian Congo in 1960 and ending in 1973 with a nine-month excursion across southern Africa. From hunching over columns of ants for hours on end while seven months pregnant to eating dinner next to Idi Amin, Kistner provides a lively and revealing account of the human side of scientific discovery.